Bulbs are easy to grow and are ideal for bringing colour to beds, borders and containers. Courtesy of our Jack from the London branch, here are our top tips for planting bulbs! Remember that different types and varieties of bulbs will flower at different times so check the packaging and consider this when mixing for displays. 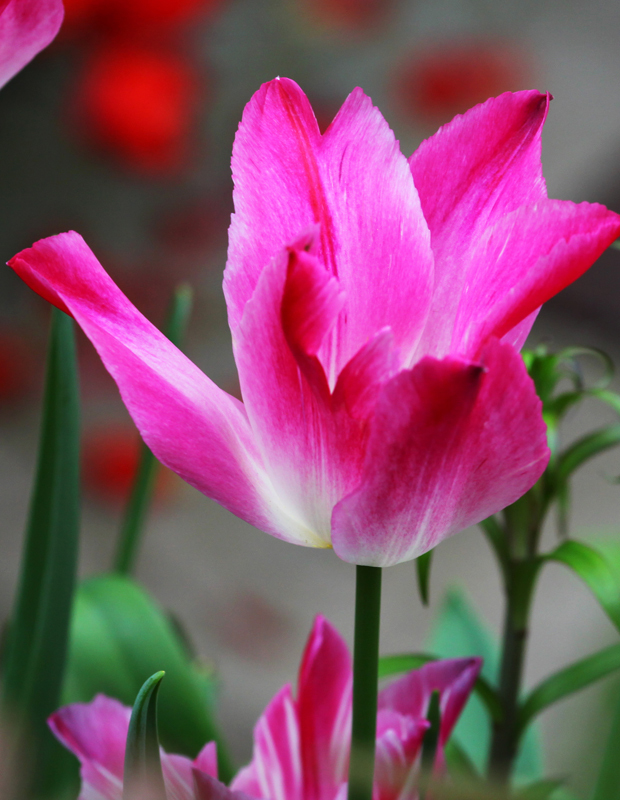 Most bulbs need good drainage; we recommend using bulb fibre or multipurpose compost for containers. If you’re planting your bulbs in beds or borders (particularly in dense London clay) it’s often necessary to add compost and/or grit. 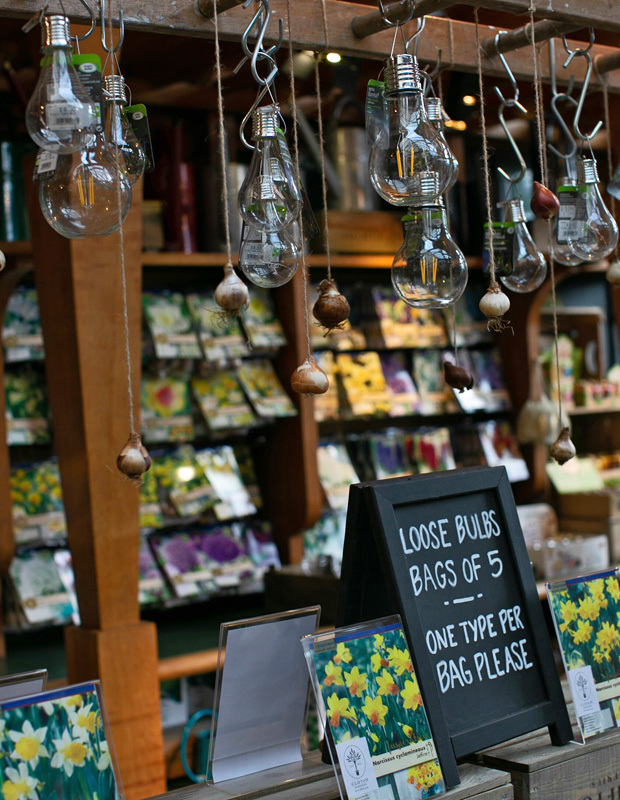 The RHS recommend groups of around 5 or 6, and at least 25-30 bulbs to create an impressive display. How you lay out your bulbs is totally up to you and your personal preferences. You may want to plant them in lines, in circles or in pretty much any design! For a natural planting style, take handfuls of bulbs, throw them down and then plant them wherever they land. To help bulbs in containers prepare for next year, feed with tomato food once a week, starting when the shoots appear and stopping when the foliage starts dying back. Never cut plants back until the flowers and foliage have died back as the bulb gets its energy source from them for next year’s growth and flowers. 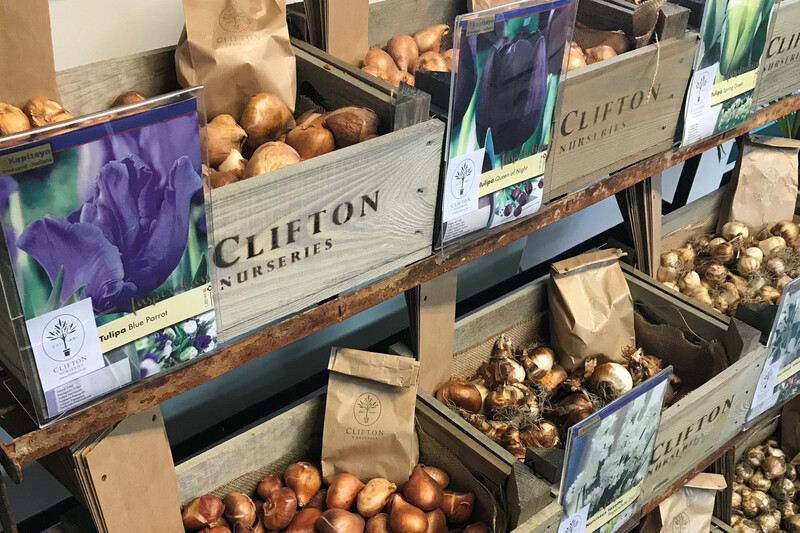 The new ranges of Spring bulbs are now in stock at both of our London and Surrey branches, including many new and exciting varieties!